Description: A deep cleansing facial wash in powder form that effectively eliminates deep-seated dirt and impurities to give your skin a clearer complexion. 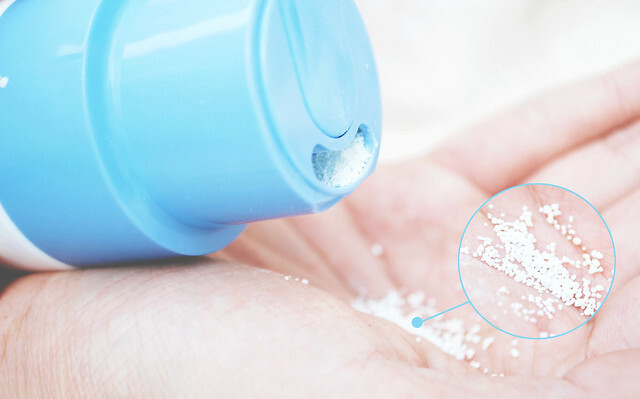 This powder wash also helps aid skin troubles with its pH 5.5 content. It also keeps the skin well-moisturized to make the skin look more radiant and moist all throughout the day. 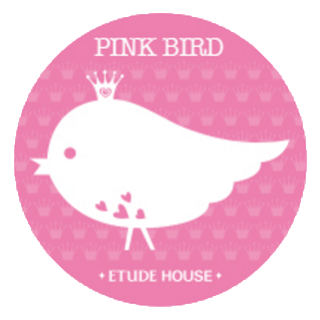 Along with its pH 5.5 content also comes an abundant amount of Vitamin E to nourish the skin from within its deep layers. This will leave your skin feeling soft and fresh with a nice lustrous finish! At first glance the ingredient that caught my eye immediately was Badger Oil. Wait what? I tried to find more information about this ingredient and only found it in Korean, so the following information may be inaccurate since I'm still learning Korean and am far from fluent. Apparently badger oil is an effective treatment for burns. It is also a deep moisturizer and skin protective agent that can give your skin a "glossy" look. I'm not sure how beneficial it could be seeing as to how this is just a cleanser and it's a powder, but good thing to know I suppose? In case you were wondering where the enzyme part of the name comes from, that's from the Papain. Papain is an enzyme that is found in papaya. It's effective at renewing your skin by loosening and sloughing away any dead skin on your face, which helps remove scars at a faster rate! Since it's also a light exfoliator, it helps soften your skin as well. If you've noticed Denatured Alcohol on the list don't be alarmed- yet. I know we've all heard about how alcohol is horrible for your skin, and that's not incorrect. However, when combined with certain other ingredients and added in very small amounts, denatured alcohol is perfectly fine for your skin. Seeing as to how this is third to last on the list of ingredients, there was probably a harmless amount added to the product. It was mostly likely added for anti-bacterial purposes. According to CosDNA, this product contains 3 potential irritants and 1 potential acne trigger. 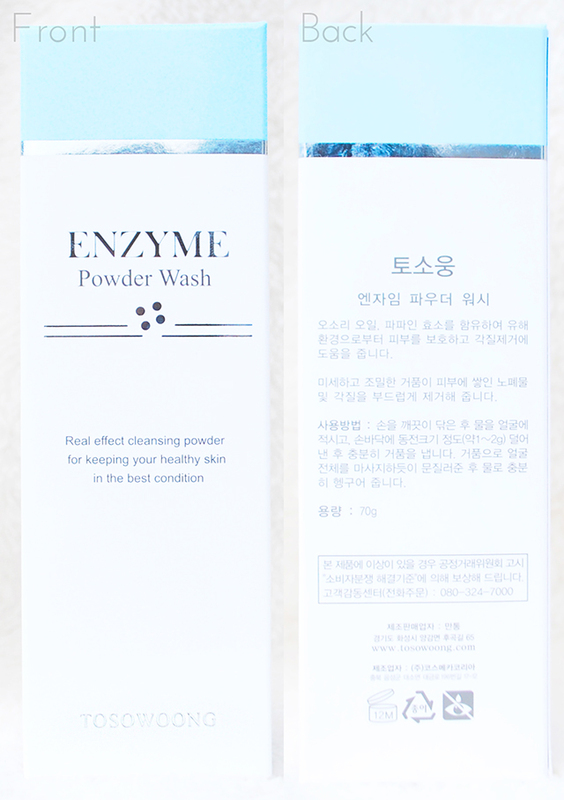 The Enzyme Powder Wash comes packaged in a matte, white plastic bottle with sky blue cap. The cap is easy to flip open and seems pretty secure. The bottle itself is fairly sturdy as well. The powder is pure white and has visible granules. According to the directions you should use 1-2 grams of the product with each use. To be honest I'm not sure how much that is, so I usually use about 0.5 teaspoons. The wide opening on the cap makes it easy to dispense the powder, and I've never had a problem controlling the amount dispensed. The scent is faint but noticeable. It has a detergent-like scent that smells stronger in the bottle, but once mixed into water and turned into a foam becomes fainter. I can smell it while I'm using it, but it doesn't bother me since I don't mind the smell of detergent. When you're using this be careful with how much water you use! It's really easy to add a little too much, which results in a watery mess. 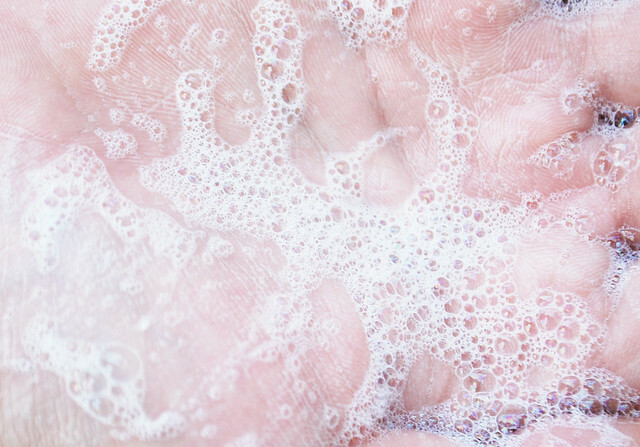 The foam is very light, so don't expect the powder to lather up into a rich foam. The directions state that you should mix the water and powder into a foam first, and then apply it to your face. I found that applying the powder directly to my wet face was too rough, and the foam was a little too gentle. Personally I prefer wetting my face, then partially mixing the water and powder together in my hands so that there are still some granules left, and then applying it to my face. The leftover granules result in a gentle, exfoliating feeling as I massage the foam across my face. However those with extremely sensitive skin should probably just follow the directions on the box. 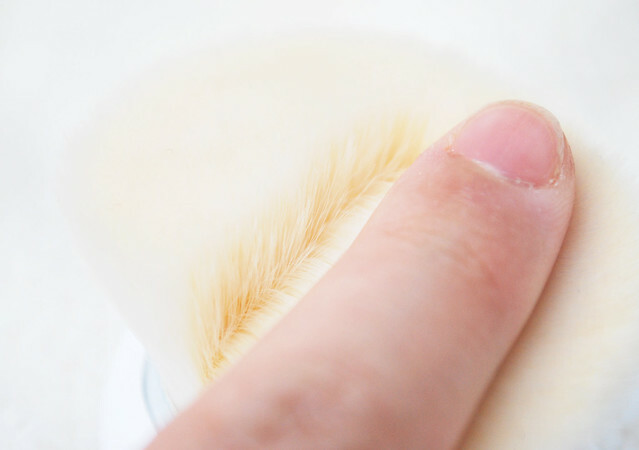 There IS another option though, and that's using the Enzyme Powder Wash with the Tosowoong Detail Clean Pore Brush! Description: This high quality pore brush contains over three hundred thousand micro soft bristles that effectively remove deep-seated dirt to give the skin a much healthier and clearer complexion. These soft and fine bristles are dense and compact for a much effective, deep-pore cleansing process. 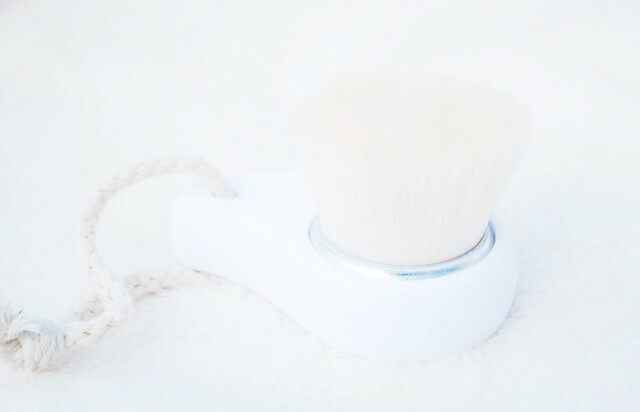 This functional brush refines pores to improve its overall condition. The Detail Clean Pore Brush has a white plastic base that has a loop of rope tied at the end of it so that way it can be hanged up somewhere. Originally I thought that the tear drop shape of the "handle" was a bit weird, but once I started using it I found that it was really nice. The curve of the handle fits perfectly into my hand when I grab onto it to use, since its size is almost the same size as my palm. This brush is the SOFTEST THING EVER. The bristles are thin and very densely packed, so you can ensure that the brush can reach your pores and cleanse out the surfaces. Rubbing the brush when it's dry across my skin feels like I'm rubbing my skin on a rabbit. Or a cat. It's just that soft. When I use the brush with the powder wash, I first wet the brush and then pour the powder wash onto the brush. I then rub the brush around my face in circles. I feel like the brush helps the powder wash foam up a little more than it does when I use my hands. Let me start off by saying that the brush is very gentle. I find that it doesn't completely get rid of sebaceous filaments, but it does help with the overall appearance of my pores! After using the brush with the powder wash the pores on my nose look cleaner and clearer. Also any dry, flaky skin I had on my nose (which is really the only place I get flaky skin) is gone. If only it removed those pesky sebaceous filaments completely then it'd be perfect. 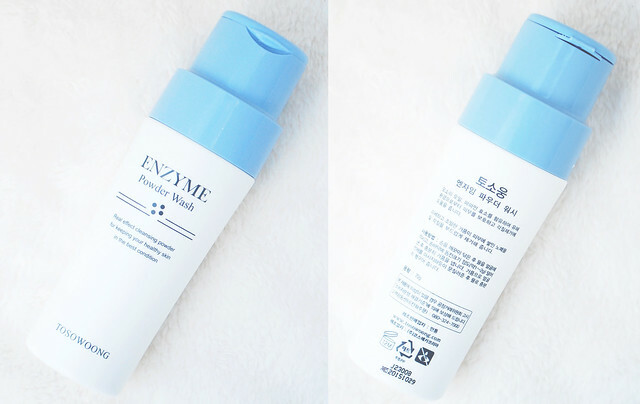 The Enzyme Powder Wash isn't effective at cleansing my pores, and only offers some light exfoliation. If you're looking for a gentle, slightly exfoliating cleanser then definitely check it out! It doesn't strip my skin of any moisture at all and my skin always feels softer after using it. Anyone with sensitive skin would really appreciate this cleanser, although it's good for all skin types. If you want something that can help you clean your pores, then the Detail Clean Pore Brush is worth a try in my opinion. I really like how it's easy to use, and effective at removing flaky skin and cleaning my pores. I don't know how it compares to other brush cleansers such as the Clarisonic, but for people who found the Clarisonic to be too rough might like this better since it's very gentle, even for sensitive skin. My only complaints are that it doesn't completely remove sebaceous filaments, and that it takes 2-3 days for the brush to completely dry due to its density. 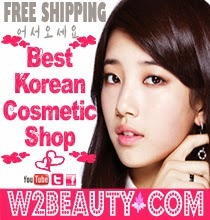 You can get both products at Memebox! 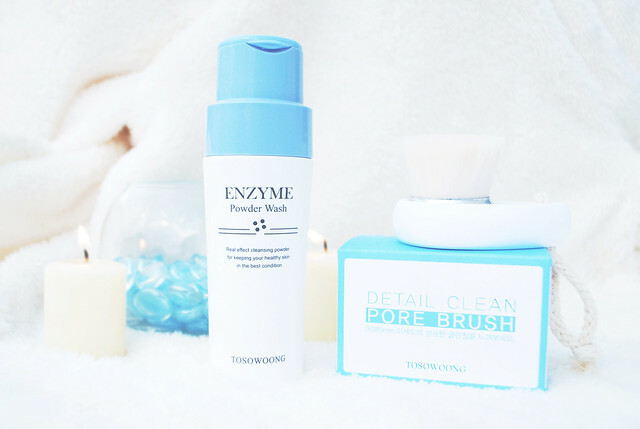 The Tosowoong Enzyme Pore Wash is on sale for $9 here, and the Tosowoong Detail Clean Pore Brush is on sale for here. 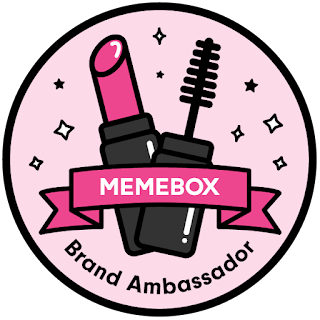 The products featured were sent to me for review purposes by Memebox. All thoughts and opinions expressed are mine and 100% honest. What do you guys think of a powder cleanser? Have you tried a cleansing brush before? Thank you for reading and I'll see you guys in my next post!